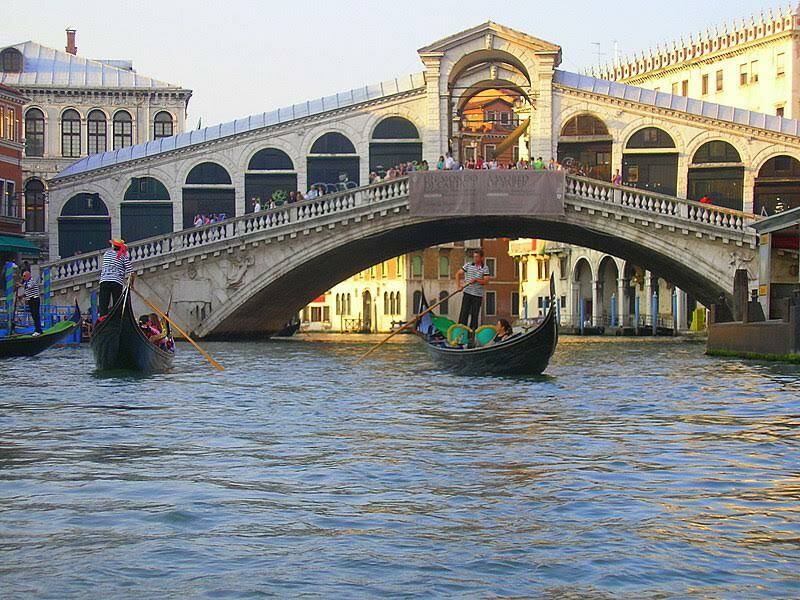 The Rialto Bridge is the most beautiful bridge in Venice. Situated on the Grand Canal it takes your breath away on first sight and still, after so many years, I feel the same way everytime I see it. When you actually see the bridge it always looks a lot bigger than you would imagine if you've only ever seen photos of it before. It is more impressive too. At night, all lit up, it is particularly magical. As the light changes throughout the day so does the bridge. Early morning (see photo taken at this time below) and sunset are two of the best times to visit. This latest bridge is also a lot better built than the previous versions. All the old ones collapsed or burned down every hundred years or so. The current bridge was built between 1588 and 1591, after the last of the previous collapsing wooden versions gave up the ghost in 1524. Being Italy, it took fifty years of arguing about whether another wooden bridge or a stone one should be built and about who should build it before they actually got started on the current bridge. Finally they gave the go ahead to Antonio de Ponte, whose surname means bridge in Italian, and whose design is that of the current bridge. Interestingly enough Michelangelo was also considered at one stage for the job but his rate was too high and they couldn’t afford him. The design of Antonio de Ponte is very similar to the previous wooden one. It was considered pretty revolutionary at the time for a stone bridge and was the first stone bridge to span the Grand Canal . The shops along the sides of the bridge were built to pay for its construction and they now sell glass, masks and linen at horribly inflated prices. Browse but don’t buy is my advice. If you would like to buy glass I would suggest that you first read our Venice glass shopping guide... and then take the boat trip out to Murano. For masks on the other hand try some of the shops I mention on the Venice Carnival Mask page. Looking for the Bridge of Sighs? Click here! 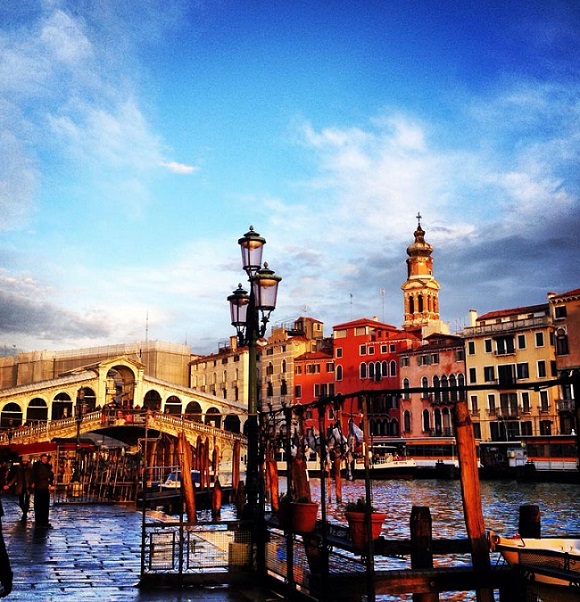 If you're visiting Venice I'd suggest you consider one of these hotels. For some unique ways to really discover Venice click here.